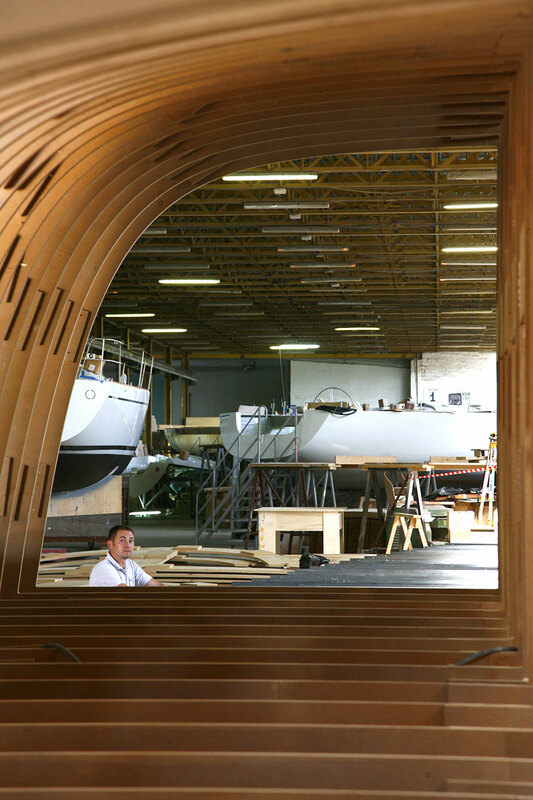 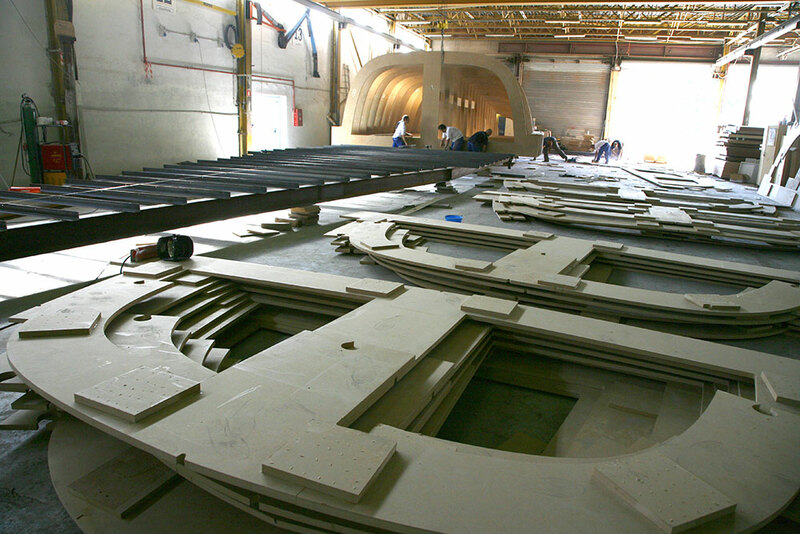 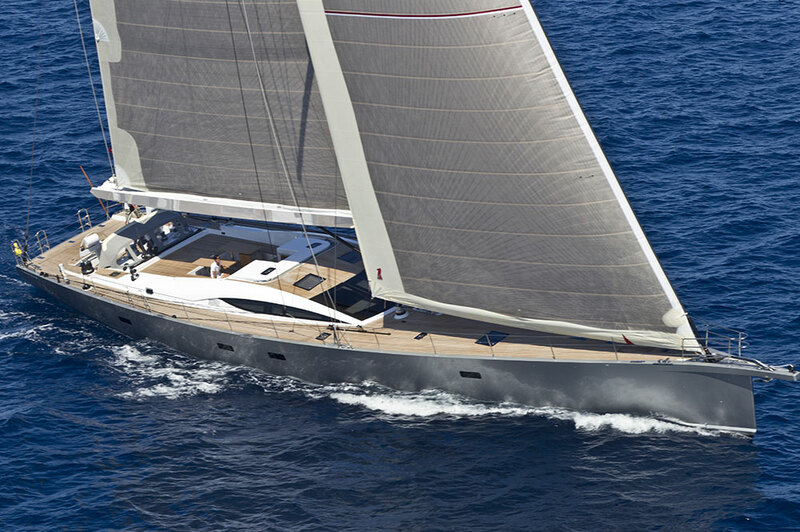 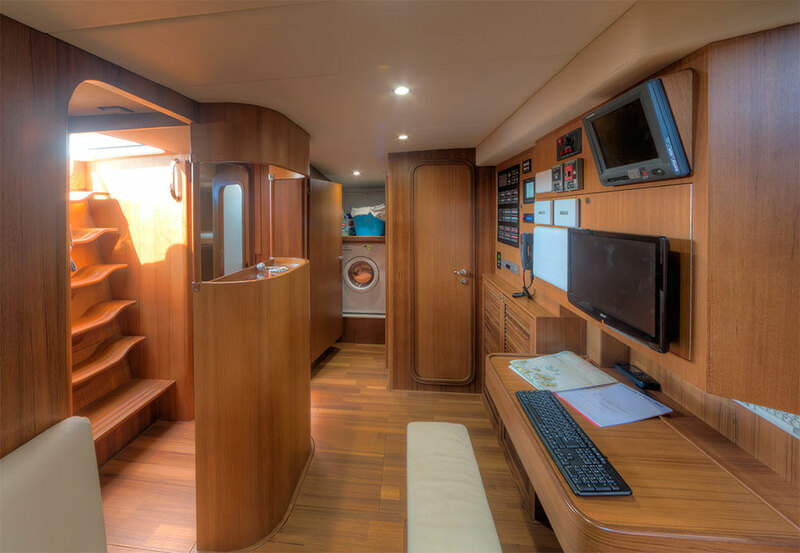 The Comet 100rs is the first Maxi Yacht produced by Comar Yachts at our Fiumicino shipyard. 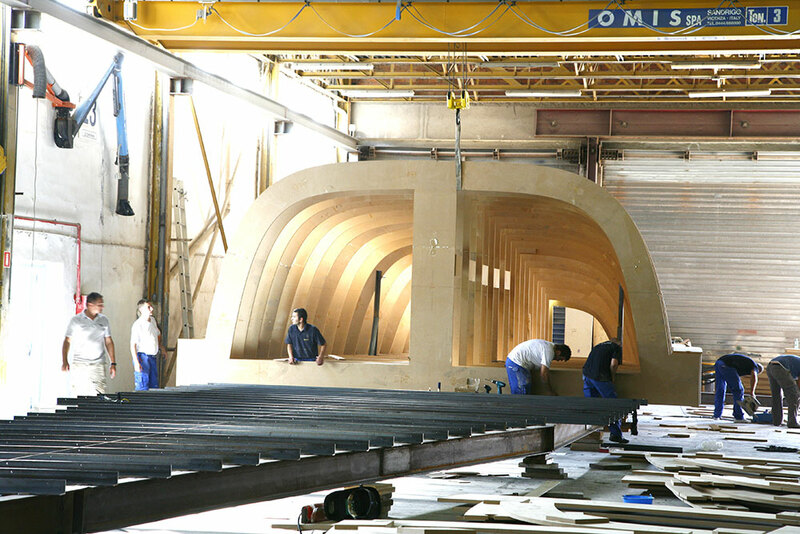 Comar has chosen the best professionals to take part in the creation of both Maxi 100rs and 85rs, already in the advanced stages of construction. 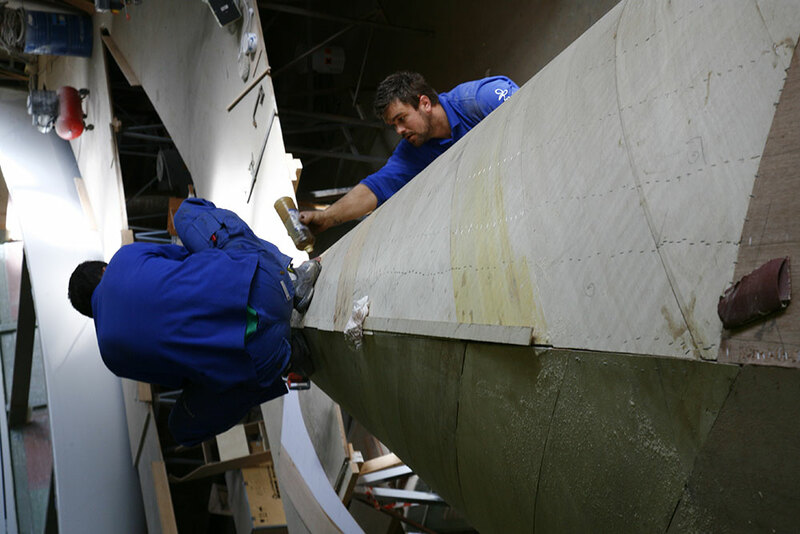 Project manager Antonio Latini and designer Giulietto Ricci have now joined the historical technical team constituted by Andrea Vallicelli and Alessandro Nazareth. 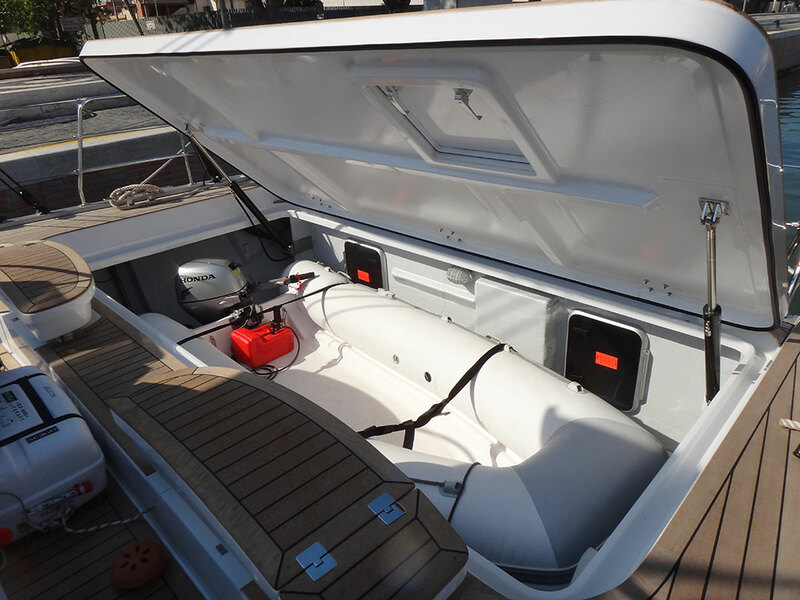 Construction and Design: In designing this Maxi we wanted to create a solid and safe yacht that would be seaworthy in all weather conditions and easy to manage during sailing. 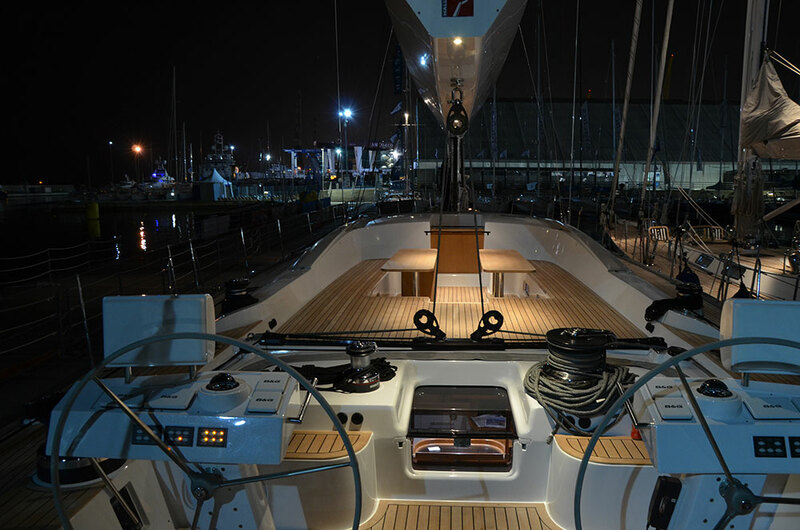 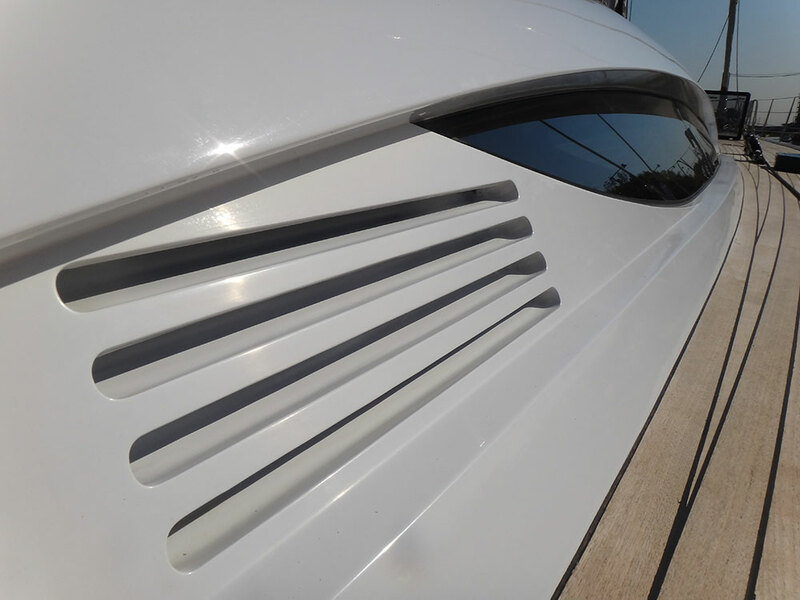 She shares the same waterlines that Alessandro Nazareth and Andrea Vallicelli had developed for Comet 62rs and Comet 52rs: a performance hull with the polished elegance of the deck saloon and eagle-eye windows. 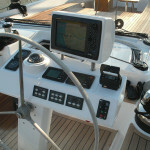 There are two cockpits on the stern, the first for manoeuvring and the second for guests on board. 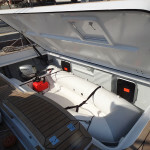 A creative solution was also found for the tender, housed in a dedicated dinghy garage in the stern, which is quickly launched thanks to a vertical mechanism that can lift a 4 meter tender with an outboard engine. 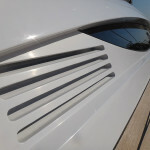 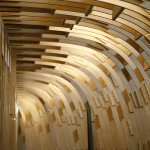 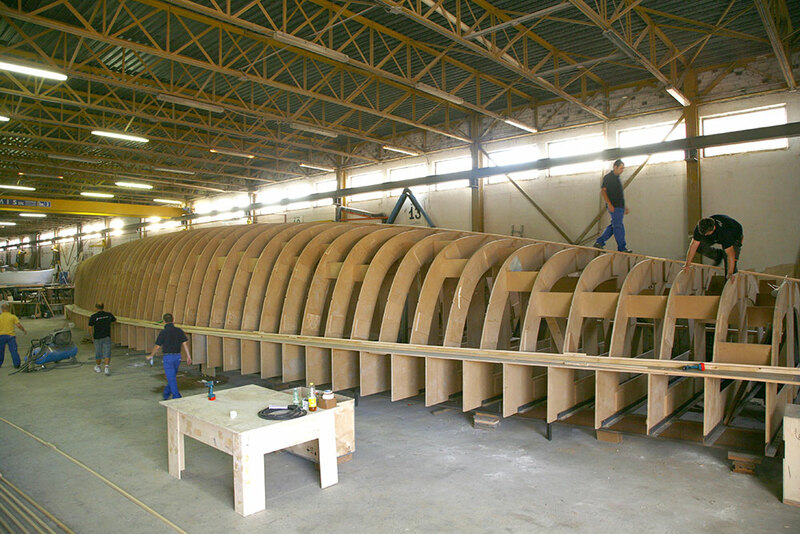 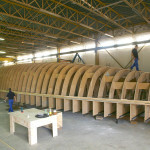 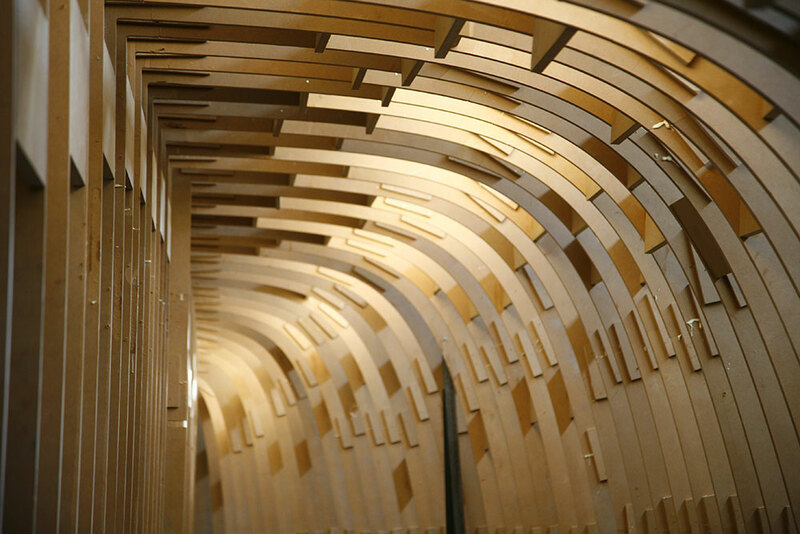 Hull and Deck: The lines of the hull and deck are those of a fast cruiser. 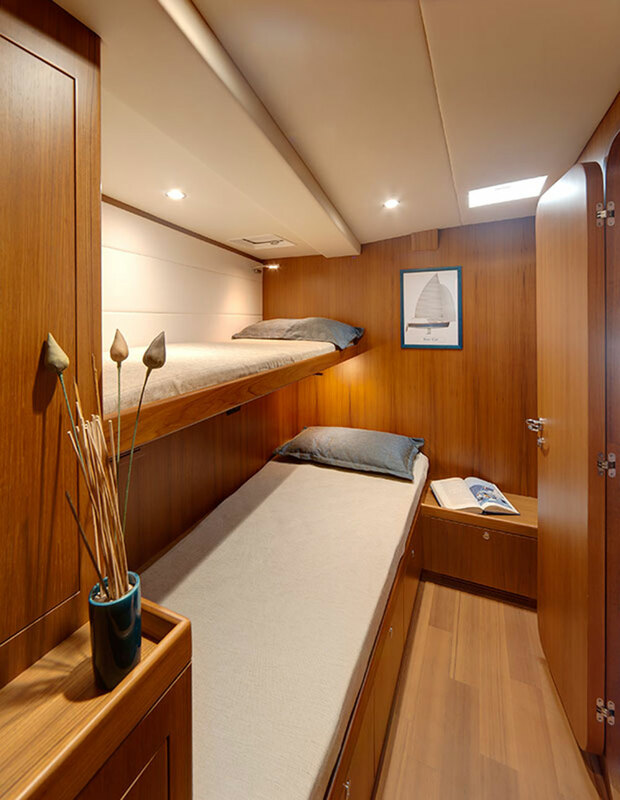 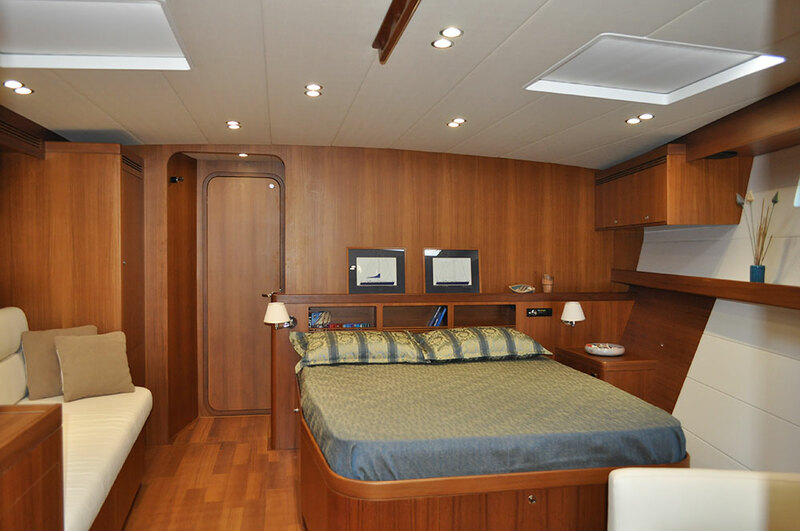 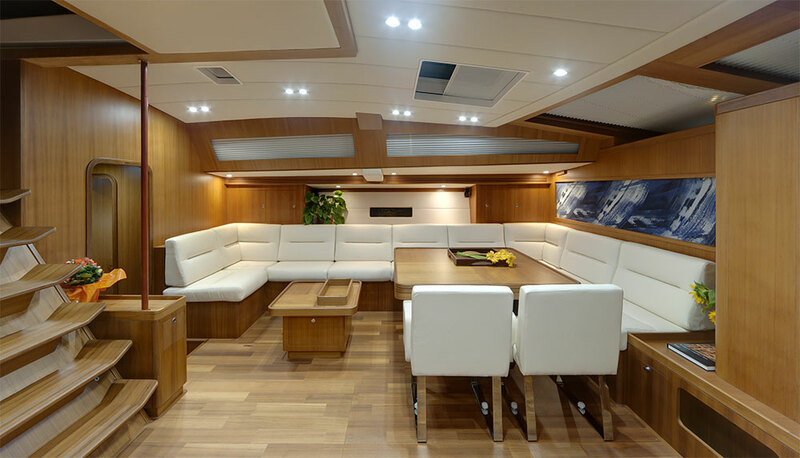 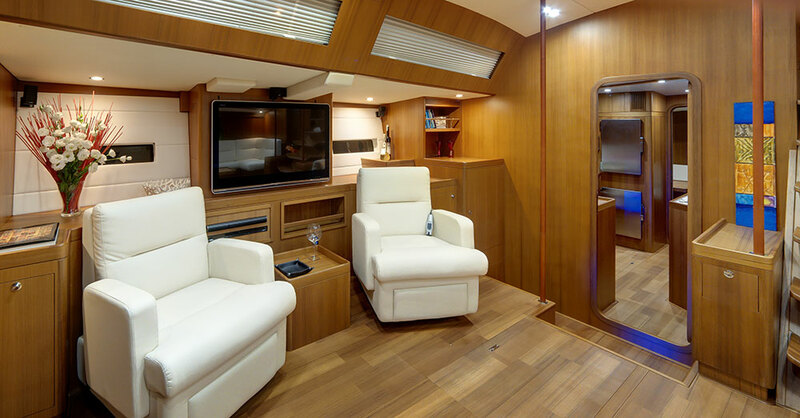 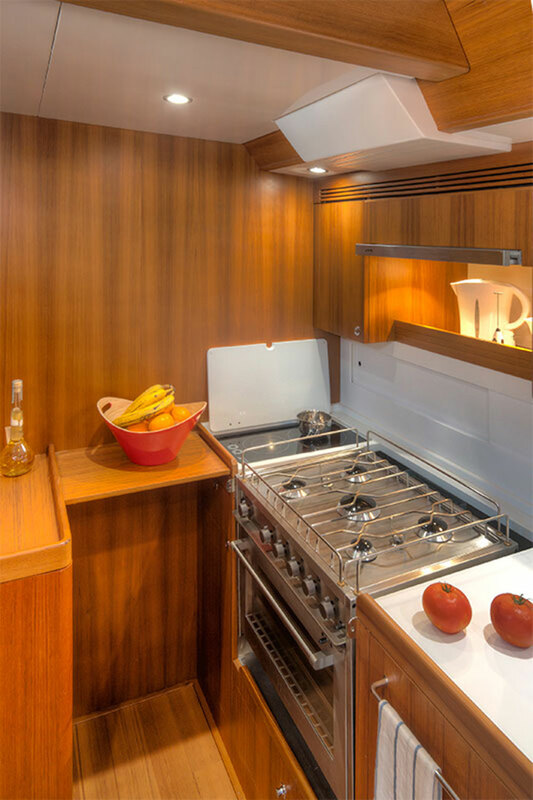 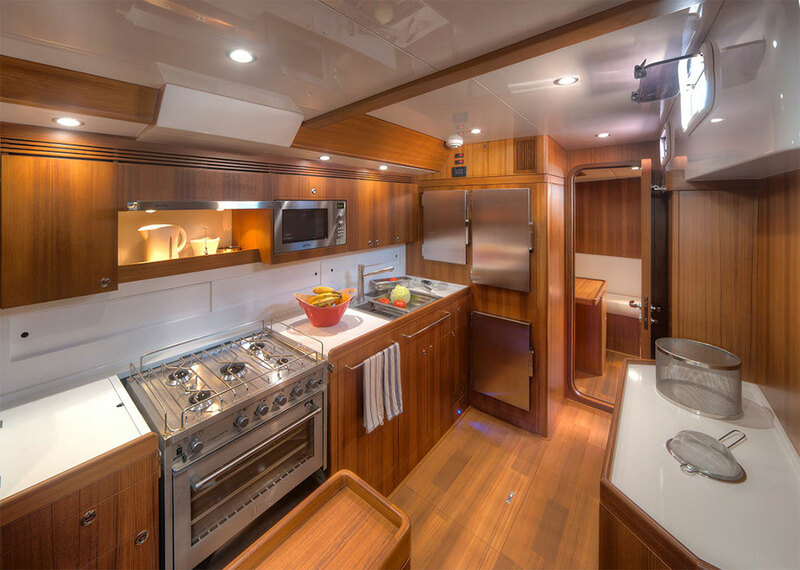 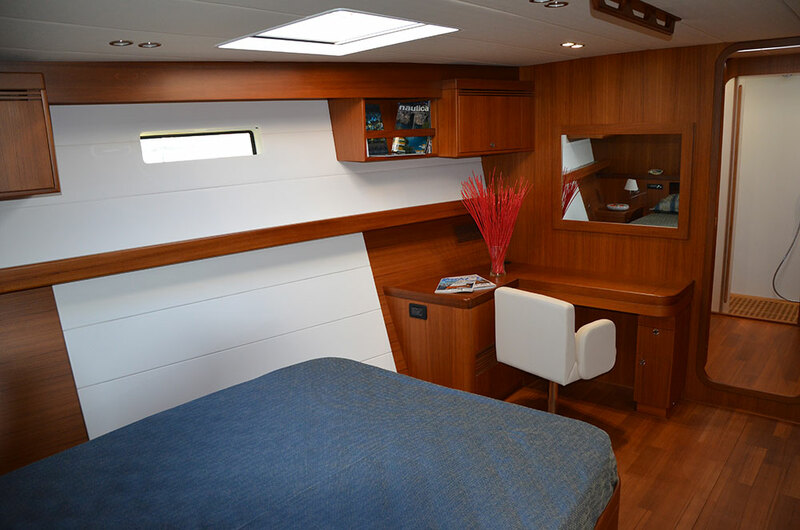 While limiting displacement, the yacht offers ample interior room. 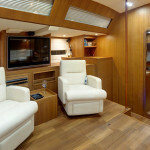 The design is optimized to ensure maximum comfort even when sailing on a close haul. 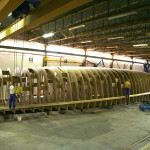 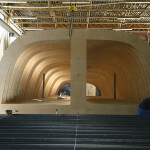 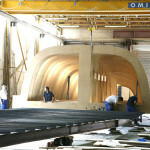 The structure is in carbon sandwich with a Corecell core, laminated in a vacuum and hardened at 80 degrees centigrade in the final stages of production. 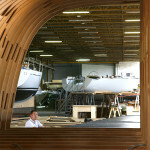 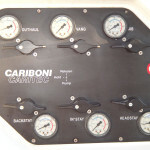 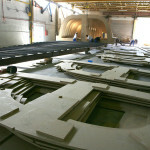 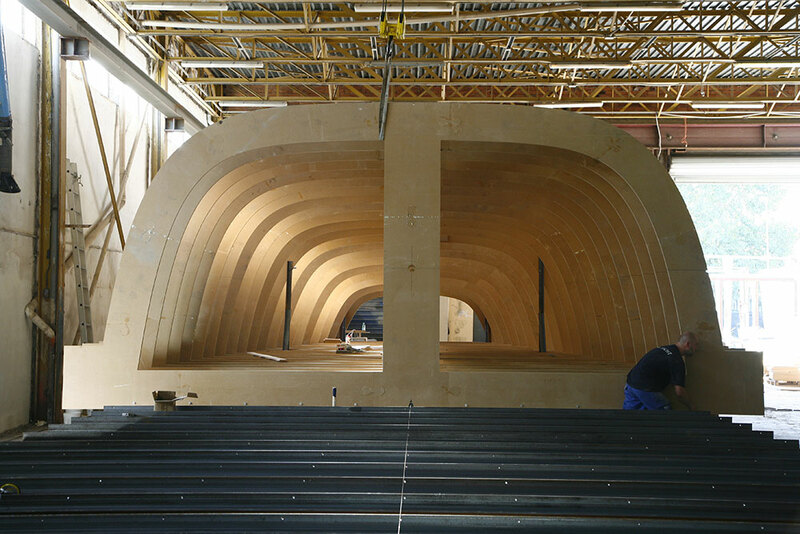 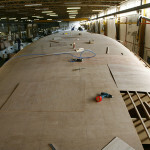 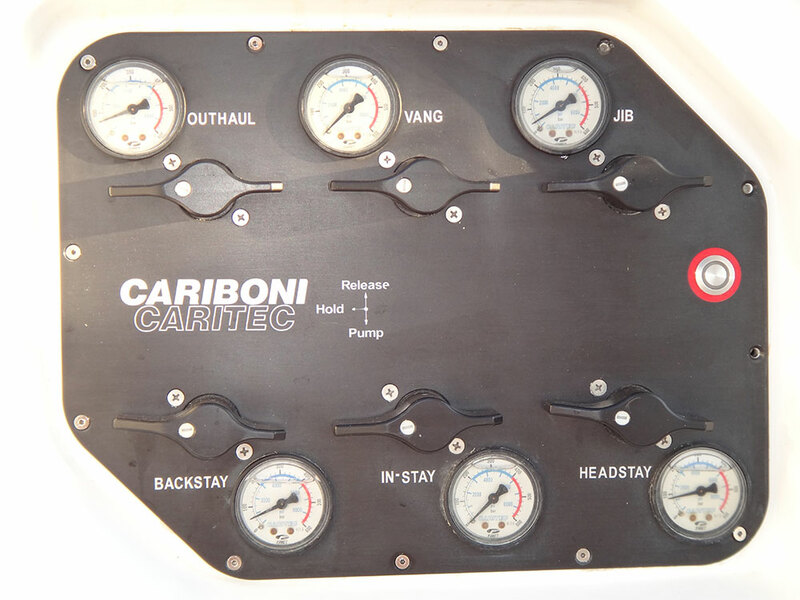 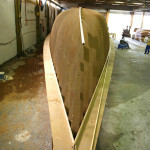 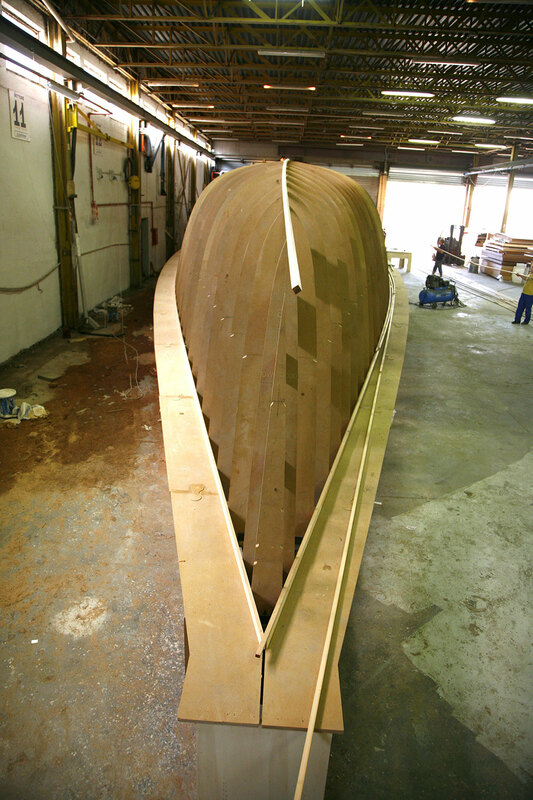 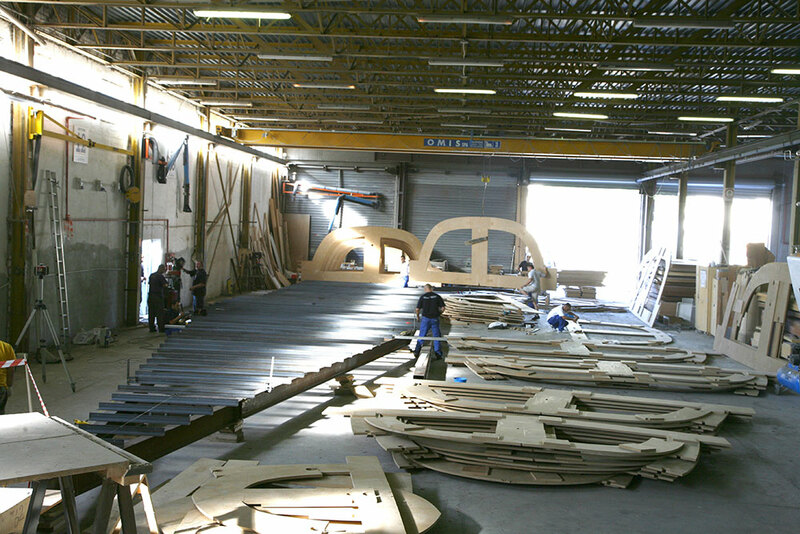 Hull reinforcements are in carbon and the bulkheads are in fibreglass and carbon. 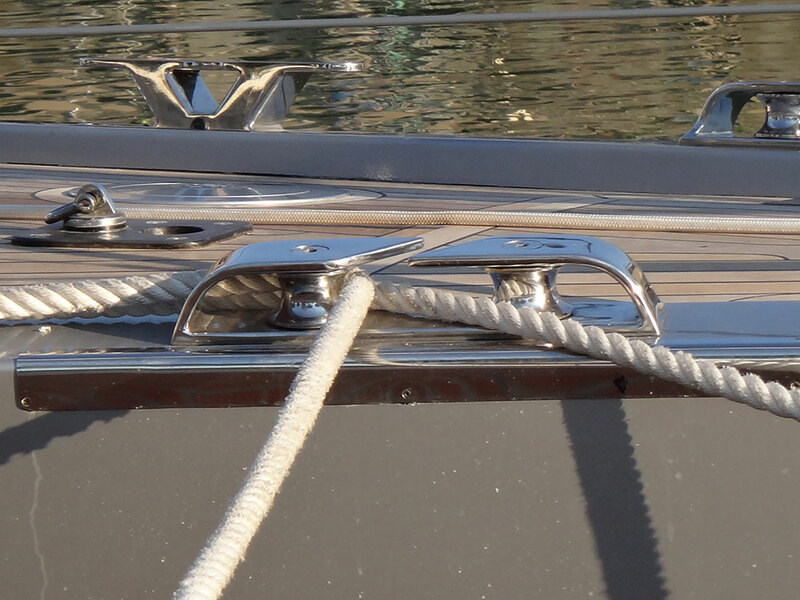 Rudder: The Comet 100rs features double rudders with the axis at 15° angle. 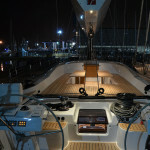 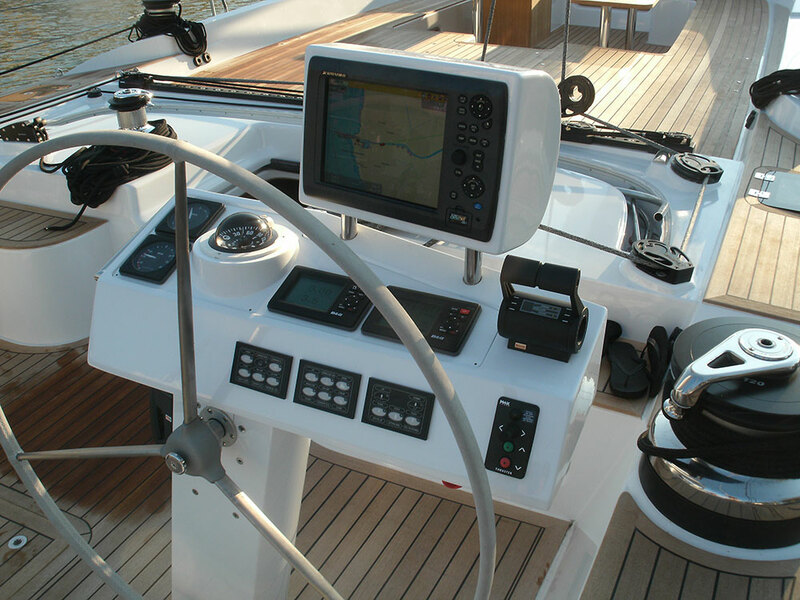 The two 1200mm wheels in the stern cockpit assure maximum manoeuvrability and a centred yacht even when heeled over. 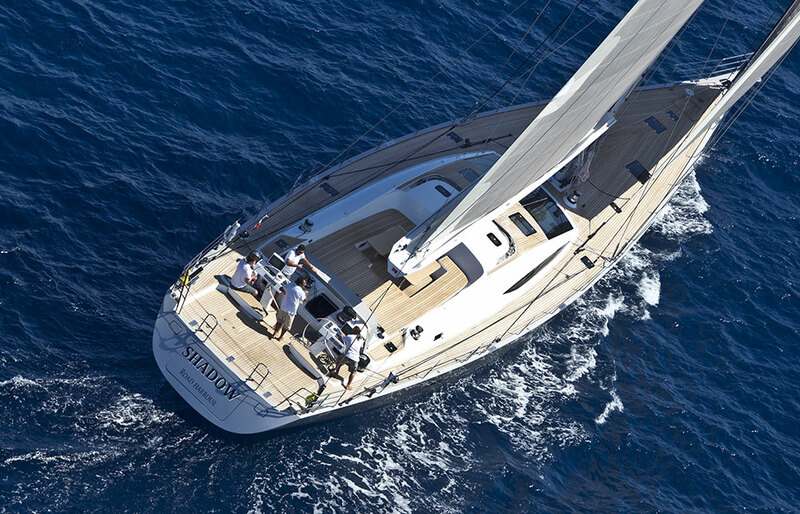 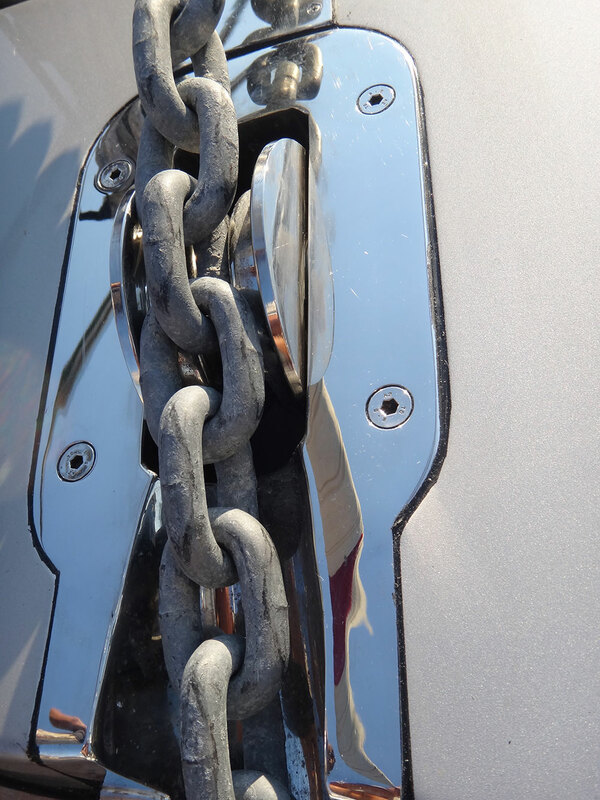 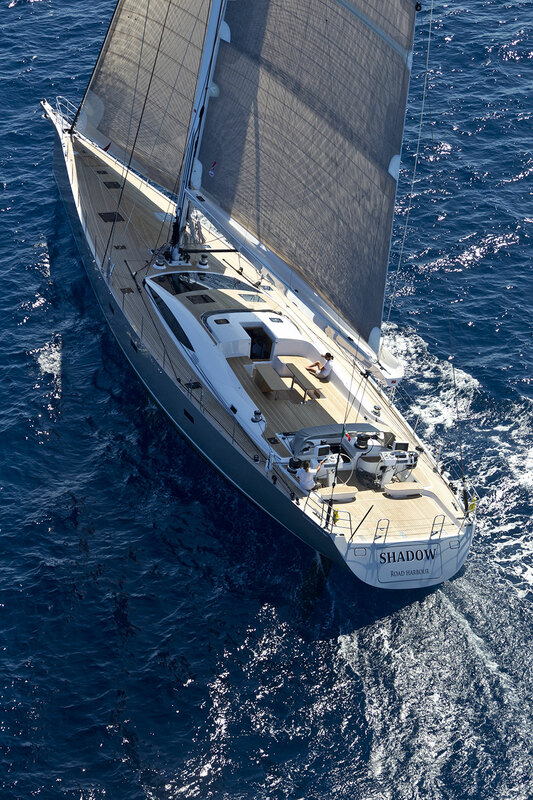 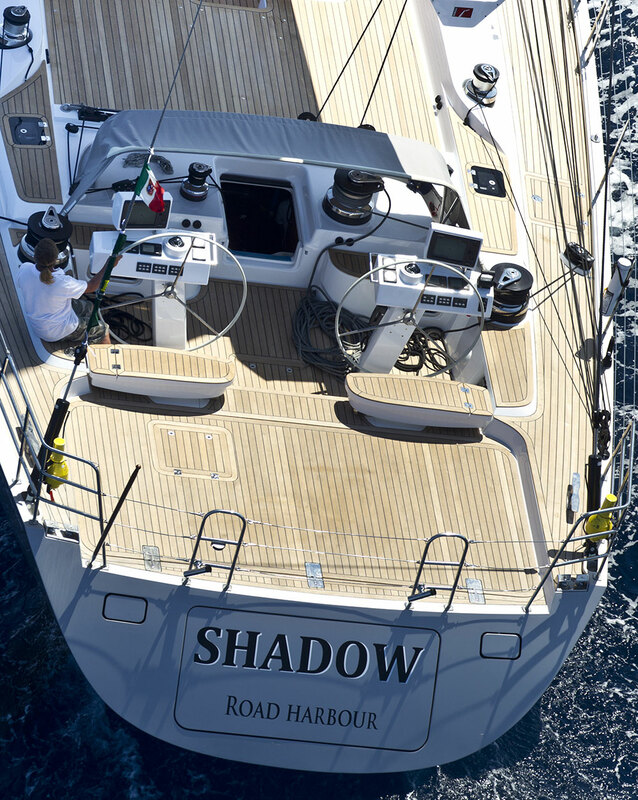 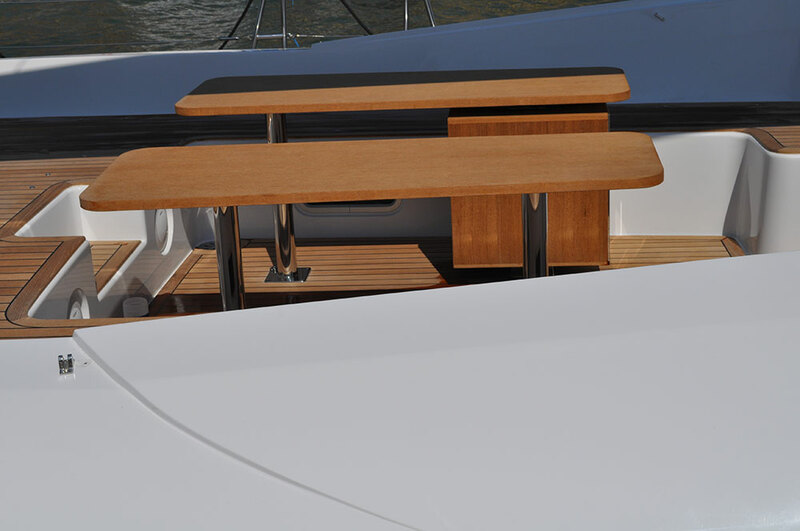 In addition, the load distribution on a helm with two rudders increases steerage sensitivity. 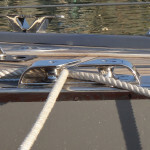 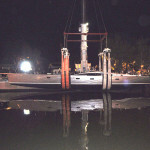 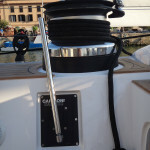 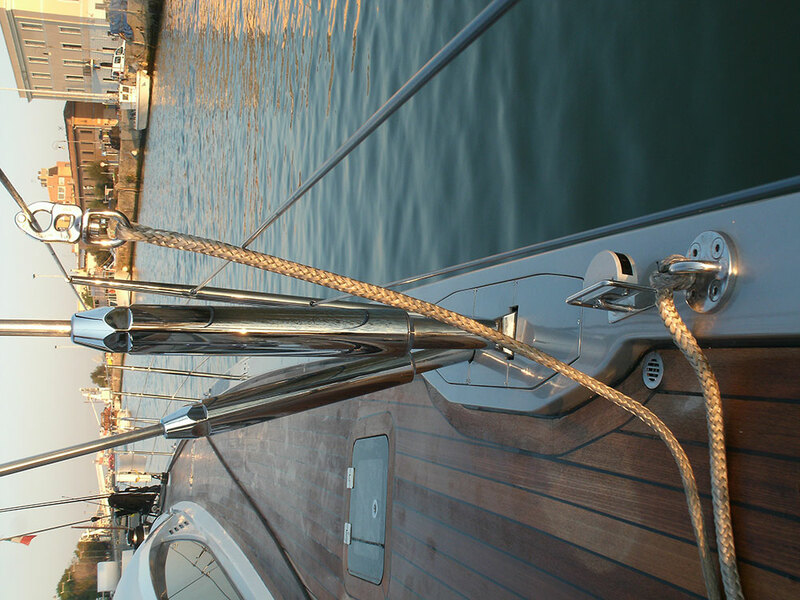 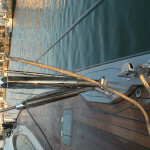 Mast and Rigging: The Comet 100rs spots a carbon mast and stainless steel rod rigging. 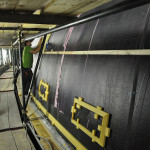 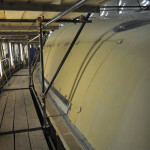 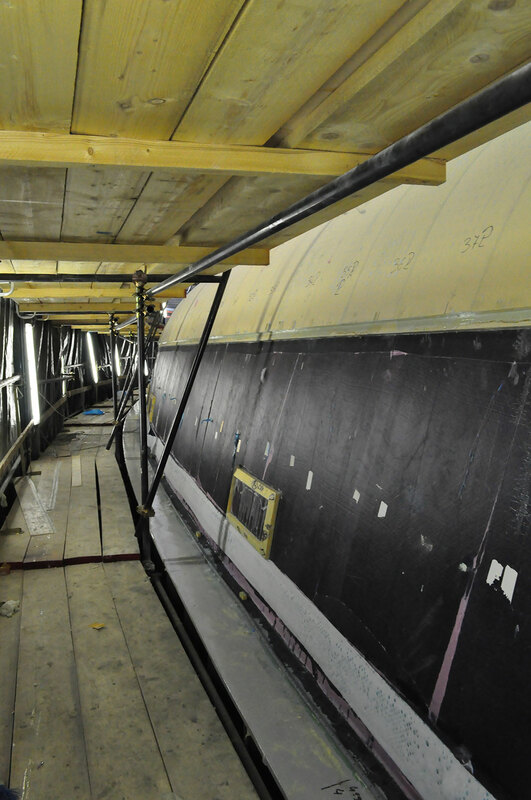 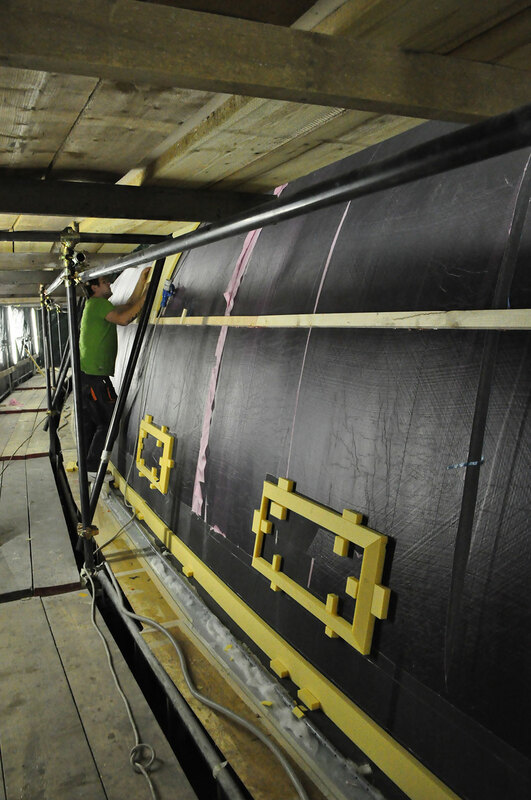 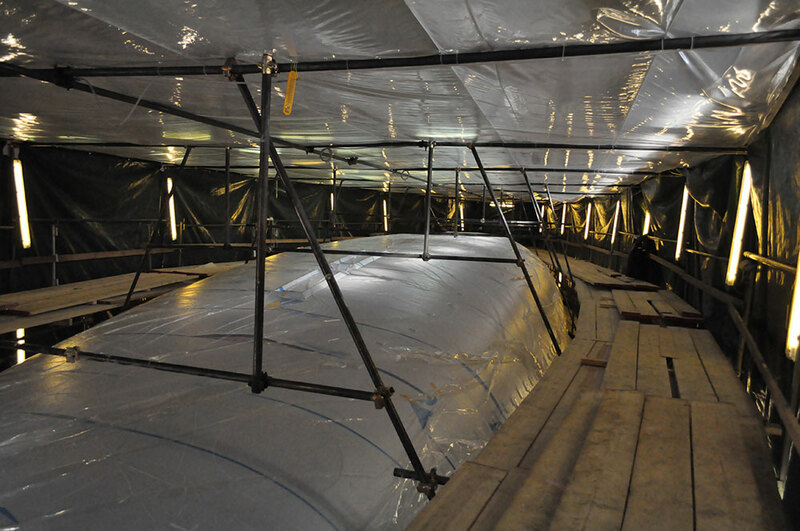 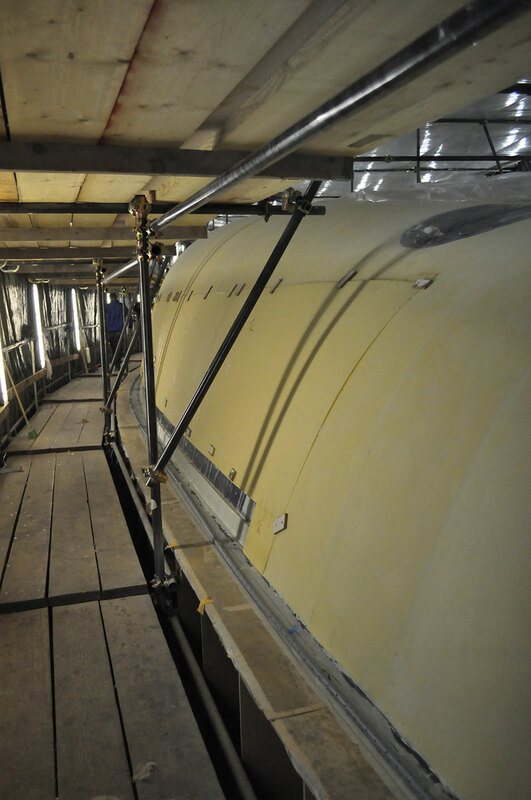 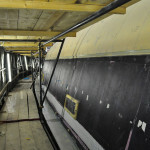 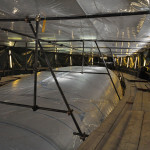 The mainsail is fully battened and all blocks are at the foot of the mast. 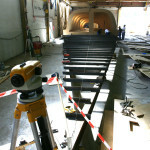 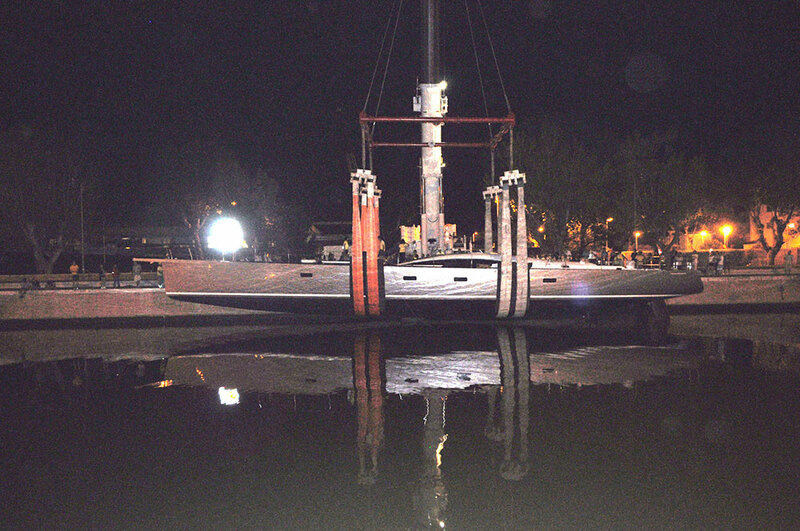 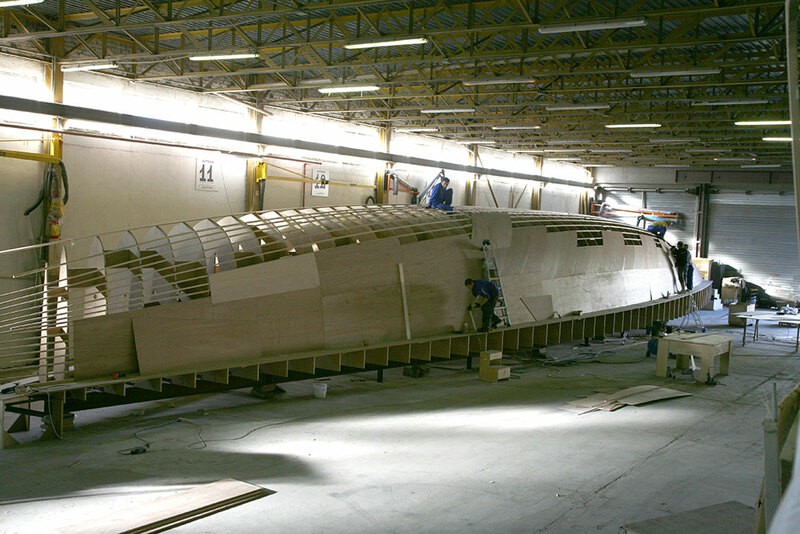 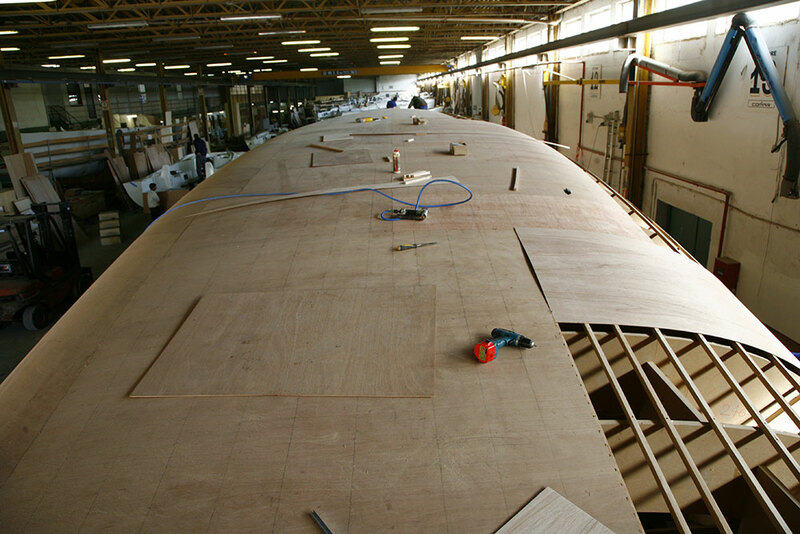 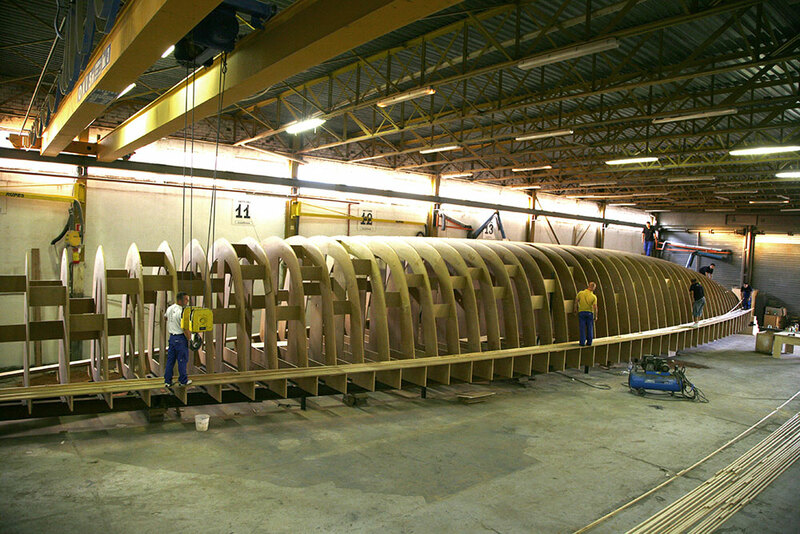 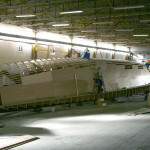 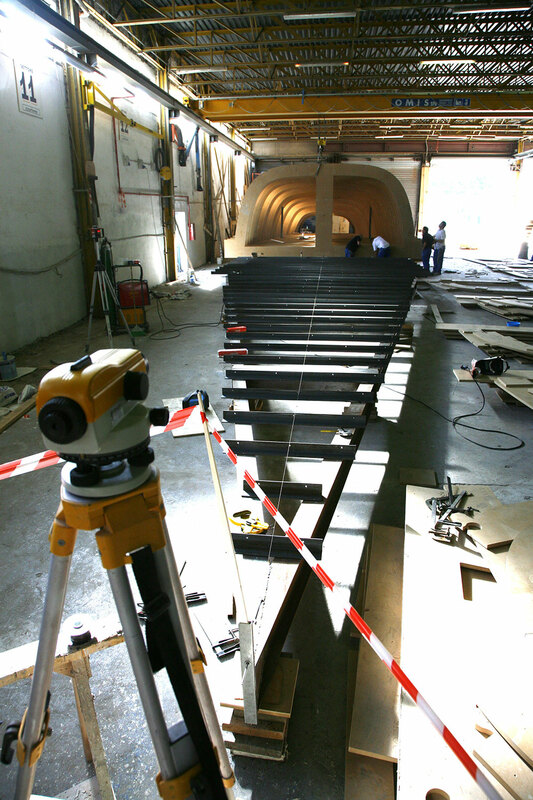 Keel: Lifting ballast keel with a maximum draft of 4.80 meters and minimum draft of 2.70 meters. 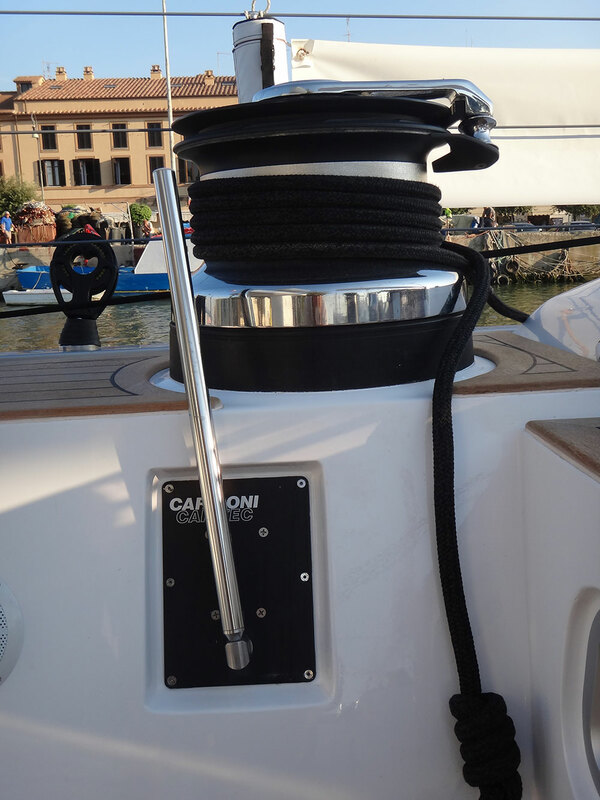 Hydraulic movement thanks to two pistons in a wing that ensure great speed when raising or lowering the keel. 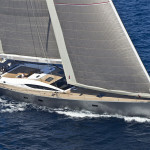 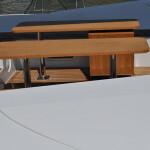 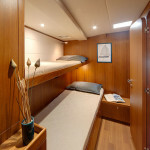 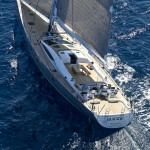 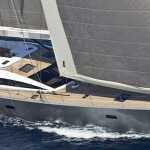 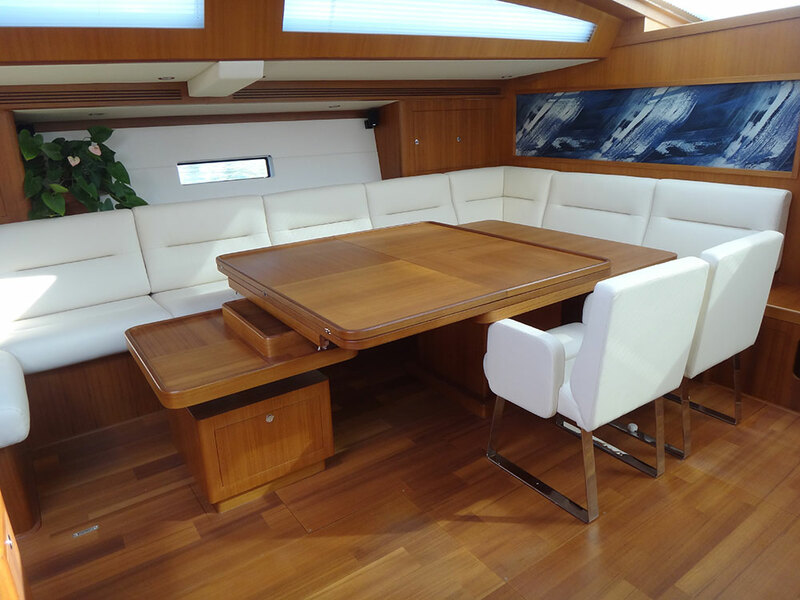 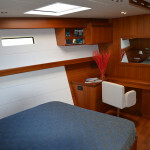 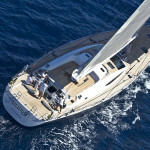 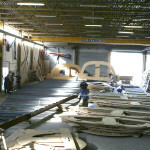 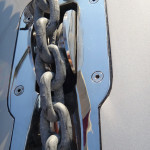 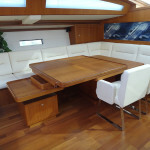 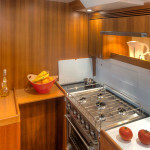 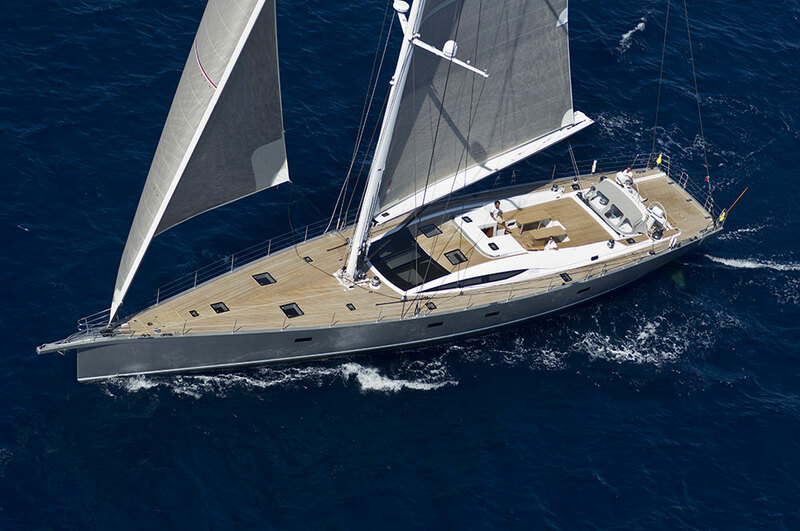 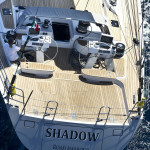 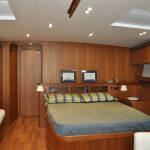 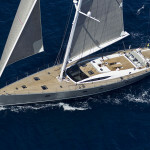 This is a tailor-made solution for the owner who will be using this yacht not only for blue water cruising.